Koç University’s Research Center for Anatolian Civilizations (RCAC) will host an exhibition commemorating the 200th anniversary of the birthday of James Robertson, a leading nineteenth-century photographer. Koç University’s Research Center for Anatolian Civilizations (RCAC) is hosting an exhibition commemorating the 200th anniversary of the birthday of James Robertson, a leading nineteenth-century photographer. 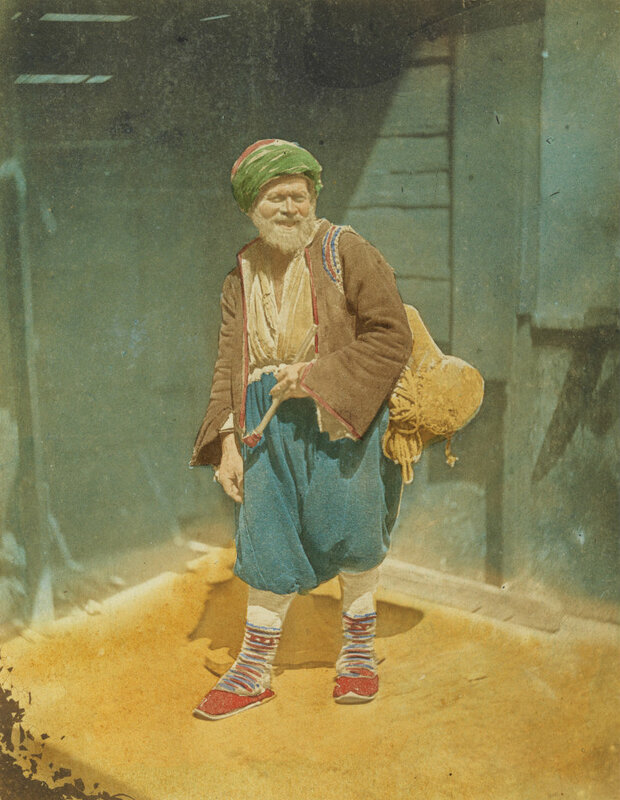 The exhibition features Robertson’s original photographs and watercolor paintings from the Ömer M. Koç Collection, curated by Bahattin Öztuncay. 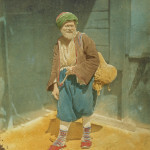 Titled “Robertson, Photographer and Engraver in the Ottoman Capital” the exhibition will be open till February 2, 2013 in the RCAC’s gallery in Istanbul. 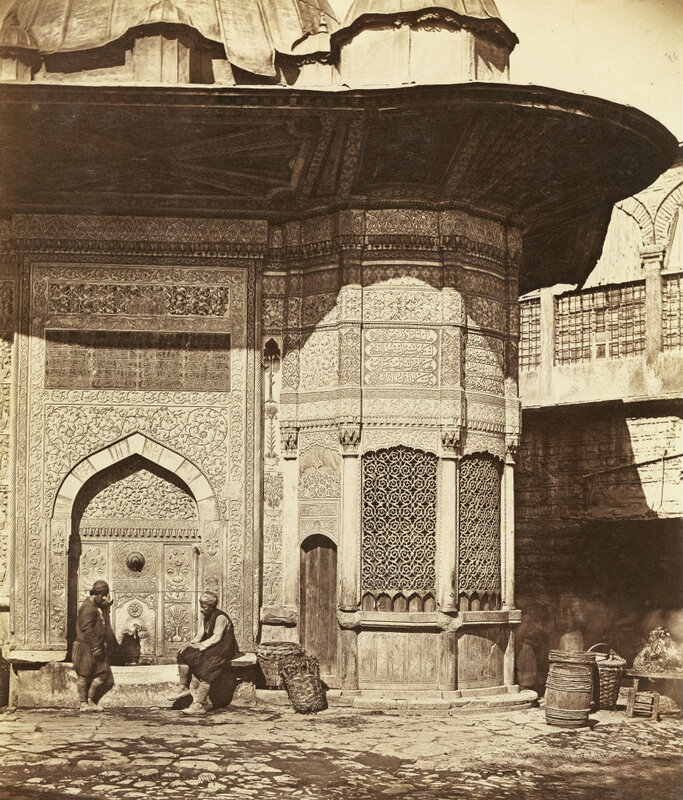 A selection of works by the renowned photographer James Robertson (1813-1888) who served as chief engraver of the Ottoman Imperial Mint, will be on display between November 27, 2013 and February 2, 2014, in the RCAC’s gallery on İstiklal Street, Istanbul. 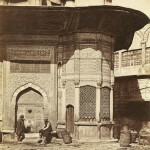 “Robertson, Photographer and Engraver in the Ottoman Capital” will feature examples of his photographs and watercolor paintings as well as his works from the Imperial Mint. Curated by Bahattin Öztuncay, all of the original photographs and watercolors in the exhibition are selected from the Ömer M. Koç Collection. 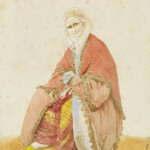 Robertson, one of the most notable names of nineteenth-century photography, received his vocational training in the London Royal Mint and remained the chief engraver of the Ottoman Imperial Mint for forty years, serving four successive sultans including Sultan Abdülmecid and Sultan Abdülaziz. He prepared designs, molds and models for gold and silver coins and in the 1850s also started to develop an interest in photography. James Robertson is the first photographer working in Istanbul known to have taken 360° panoramic photographs of the city. He gained much renown with his Istanbul photographs, as well as with the photo series he produced of Athens in 1854, of the Crimean War between 1854 and 1855, and of Jerusalem and Cairo, which he prepared in 1857 and which were displayed in exhibitions in London and Paris. 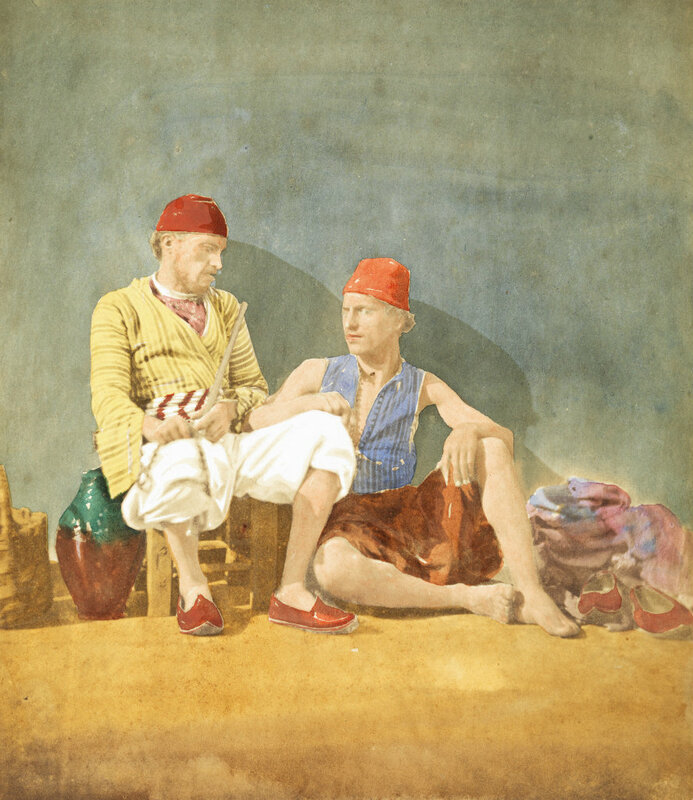 “Robertson, Photographer and Engraver in the Ottoman Capital” features not only his outstanding works for the Imperial Mint, but also reveals his mastery and manifold talents as an artist capable of creating stunning photographs and watercolor paintings of his adopted city’s colorful life, of its unique scenery, and its matchless monuments and art objects. The exhibition also includes numerous photos from Athens, the Crimea, Jerusalem and Cairo. An accompanying exhibition catalogue, prepared by Bahattin Öztuncay, presents Robertson’s biography alongside his works. 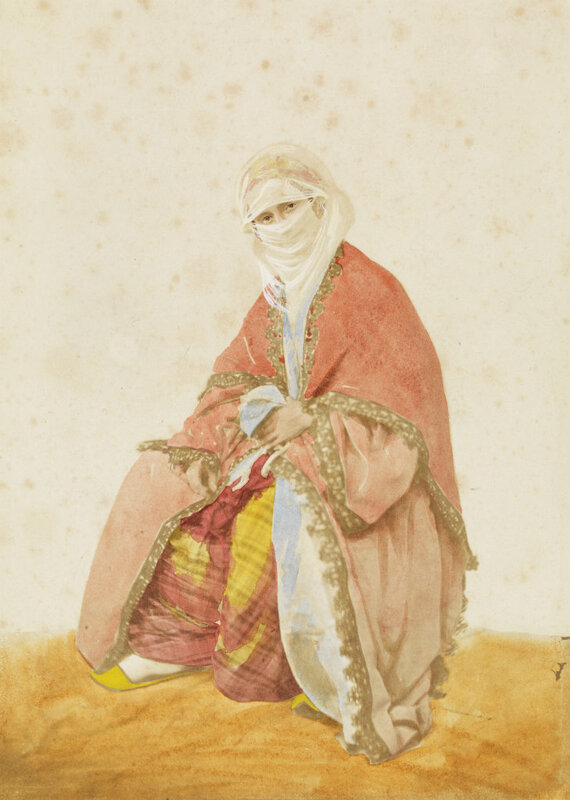 “Turkish Woman in outdoor dress”, Robertson, 1855, Ömer M. Koç Collection. 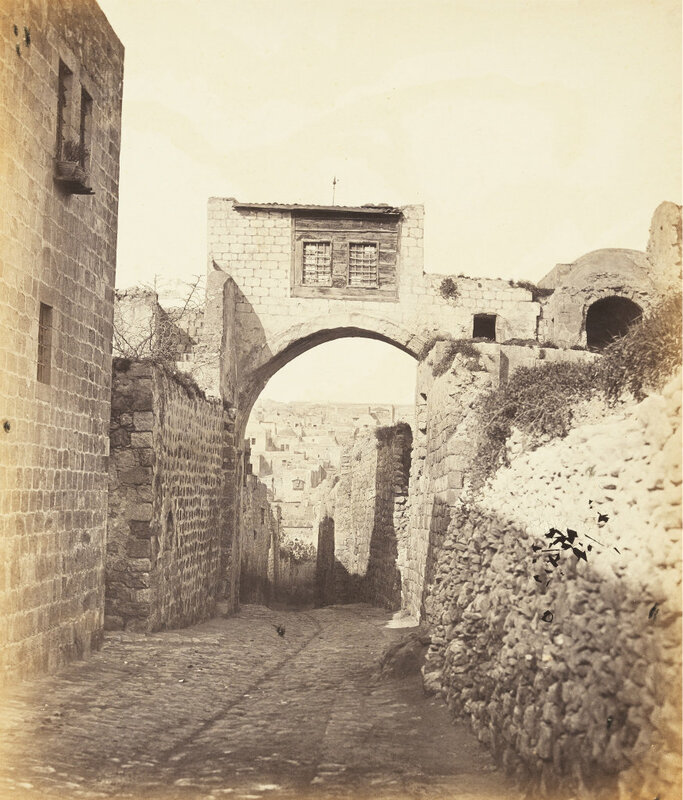 “The Span of the Ecce Homo Arch, Jerusalem”, Robertson & Beato, 1857, Ömer M. Koç Collection. “Porter”, Robertson, 1855, Ömer M. Koç Collection. “Galata, Azapkapı Fountain”, Robertson & Beato, 1857, Ömer M. Koç Collection. “Tophane Coast and Kılıç Ali Paşa Mosque”, Robertson & Beato, 1857, Ömer M. Koç Collection. “James Robertson and Felice Beato”, self-portrait, 1855, Ömer M. Koç Collection. 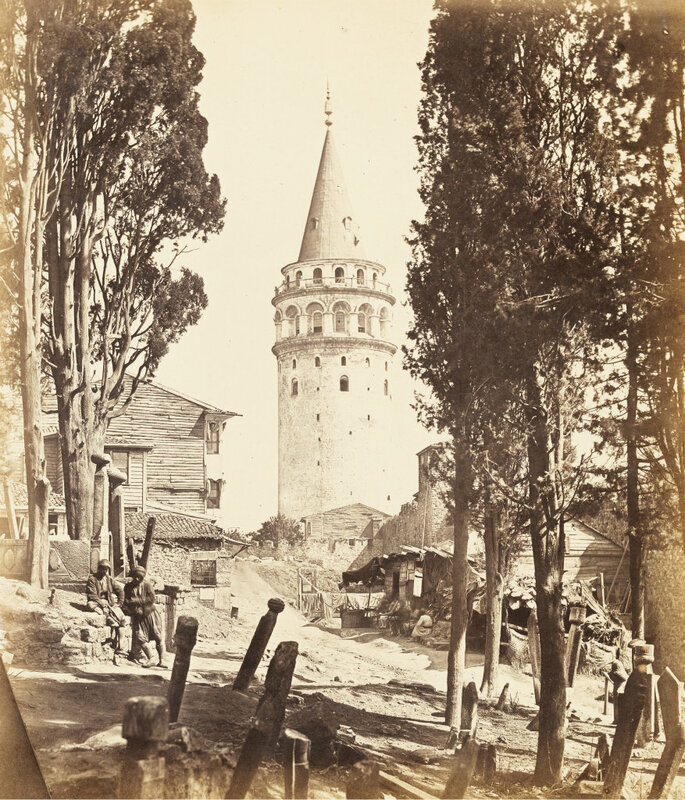 “Galata Tower”, Robertson & Beato, 1857, Ömer M. Koç Collection. “Büyükdere, Istanbul”, Robertson & Beato, 1857, Ömer M. Koç Collection. - 1813, 7 November; baptised in the Church of St. Martin in the Fields, in London. - 1833; started to work for the Royal Mint in London..
- 1833-1840; four medals produced by Robertson were exhibited at the London Royal Academy until 1840. - 1840, 30 April; Sultan Abdülmecid’s rescript ordering the reform of the coinage and the procurement of the necessary tools and equipment from London. - 1841; arrival of the machinery and a team of engineers and foremen from the Royal Mint to install it and get it operating in Istanbul. - 1843, 17 January; strucking of the first gold coins from the dies produced as a result of James Robertson’s efforts. - 1844, 3 May; first modern silver coins went into production struck from dies prepared by Robertson. - 1844-1877 on the basis of official mint records, Robertson was responsible for the design and execution of no less than 26 different medals between 1841 and 1877. - 1853, summer; getting started in photography as a sideline. - 1853, October; his first photographs of Istanbul published in “Photographic Views of Constantinople” in London. 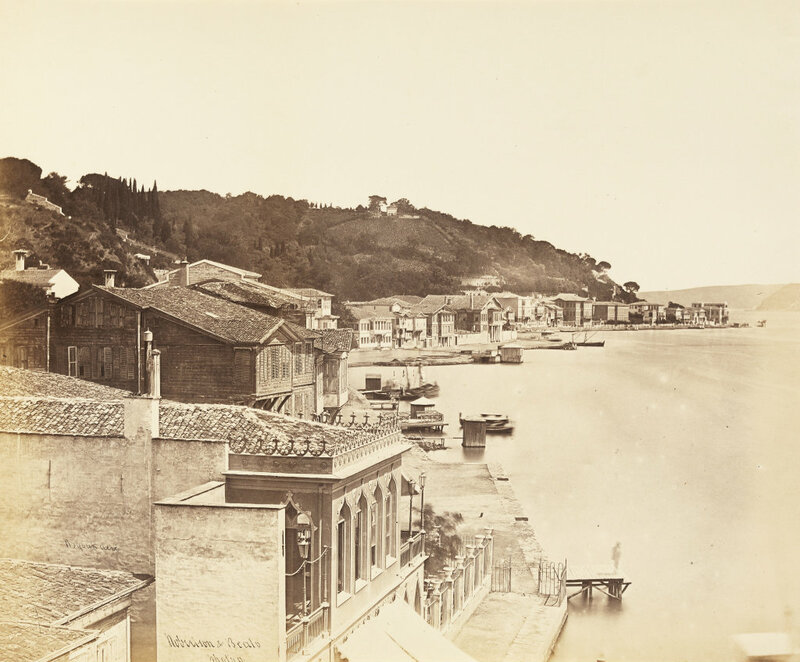 - 1853, November; Prince Albert purchased a selection of his Istanbul photographs; on the basis of the expenditure records of the Privy Treasury, these are the first photographs purchased for the royal family’s collections. - 1853/54; opening of the studio on Grand Rue de Pera, 293 at the corner of Rue de la Postes; (presently the location of the Arter building). - 1854 May; the first Istanbul photographer known to have taken 360° panoramic photographs of the city from the Beyazıt Tower. - 1854, taking photographs in Athens; published under “Grecian Antiquities” in London. - 1855, January-February; showing a selection Istanbul photographs during the International London Exhibition. - 1855, 19 April; marriage with Matilda Beato in the Saint Helens Church of Pera. - 1855, May; taking his first Crimean War photographs. - 1855/57; cooperation with Felice Beato, his brother-in-law. - 1855, 15 May-15 November; taking part at the International Paris Exhibition with Istanbul and Athens photographs. - 1855, 11 September; new Crimean War series after the capture of Sebastopol by Allied Forces. - 1855, December; showing of Istanbul and Crimean War images at the Kilburn studio in London. - 1856, summer; taking photographs in Malta. - 1856, 20 December; sent his Istanbul panorama to the exhibition of the “Edinburgh Photographic Society of Scotland”. 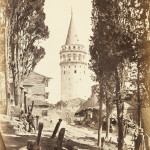 - 1857; took a second panoramic view from the Tower of Beyazıt together with his partner Felice Beato. - 1857, March-April; taking photographs in Jerusalem and Cairo. - 1857, 5 May-17 October; sent Crimean War images to the exhibition of “Manchester Art Treasures”. - 1858, January; taking part at the exhibition of the “Architectural Photographic Association” in London with his Istanbul, Athens and Malta photographs. 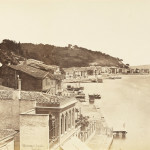 - 1858, March; Felice Beato’s departure from Istanbul, travelling to India and China; then settled in Japan. - 1858, December; taking part at the next exhibition of the “Architectural Photographic Association” in London with his Cairo photographs. 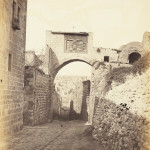 - 1860, January; sent Istanbul and Jerusalem images to the third exhibition of the same institution. - 1867, September-November; the sale of the studio and abandoning his career as a photographer. - 1869, June; appointed as a member of the “Imperial Coinage Commission” at the Ottoman Mint. 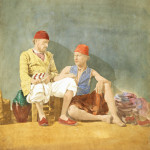 - 1881, April; showing a series of his six watercolors of Istanbul views and costume studies at the II. Fine Arts Exhibition of the Club-ABC in Pera. - 1881, 29 October; a farewell ceremony in his honor was held at the Imperial Ottoman Mint and he went into retirement after 40 years of service under four sultans. - 1881, 9 November; departure from Istanbul by sea with his wife Matilda and their three daughters. - 1882, 2 February; arrival in Yokohama, Japan; where his brother-in-law, Felice Beato was living as a successful businessman. - 1887, 6 January; marriage of his 27 years old daughter Beatrix in Yokohama. - 1888, 18 April; James Robertson dies in Yokohama, at the age of 75. - 1888, 18 June; news of his death took two months to reach Istanbul and was reported by The Levant Herald. - 1892, 10 April; Matilda Robertson and one of her daughters left Yokohama by ship, never to return again.